At the Panamerican Duathlon in Toluca. I knew a couple things when I embarked on this “Ironman” journey. I knew it would be more mentally than physically tough. I knew that I would have to grapple with comparing myself and fears of not finishing, and good and bad training sessions. I didn’t know how much mindspace it would take up, conversations, grapplings, etc. I vowed never to be the person who could only talk about my training. I am that person right now. It seems that all people ask me are “How’s your training going?” (because that’s all I can think about right now)And I either fiercely want to or don’t want to talk about it depending on how my training session was. And I find myself fiercely annoyed when people do or don’t ask me about it. Or putting up and taking down photos of myself at athletic events, and fiercely annoyed at people when they do or do not like the picture. I wonder if this is how famous actors feel (and there is a fair amount of drama that lives inside of me.). “How dare you talk to me…I’m out to dinner with my family.” “How come you’re not talking to me…don’t you know I’m famous?” I shouldn’t do it. Too much mind space. I went out for lunch with two type A personality friends on Friday afternoon who also happen to be very competitive triathletes.They are in love with spreadsheets. That’s how I know that they are Type A.
I’m not Type A, but I’m collecting friends who are. They come in handy for spreadsheet making(and planning my life). A recent article was describing that the “ironman” are type A personalities sitting on the edge of their couch just in case something is about to happen. Right now I am sitting back in a chair with my feet up drinking a cup of coffee. I have no problem sitting back on my couch gazing at facebook for hours thinking how “I should go grocery shopping,” or grade some papers. Maybe I shouldn’t do it. I don’t have the right personality type. And then there’s my friend who has done two Ironmans. Both of which she laughed and smiled throughout the trainings, doing it with her best friend, and without a care about time or pace, just having the time of her life with her friend (what?? you’re allowed to have fun???). Sometimes it’s hard. I shouldn’t do it because it’s not always fun. Triathlons are trendy now I’m told. I don’t want to be trendy. Maybe I shouldn’t do it. I am tired. Enough said. 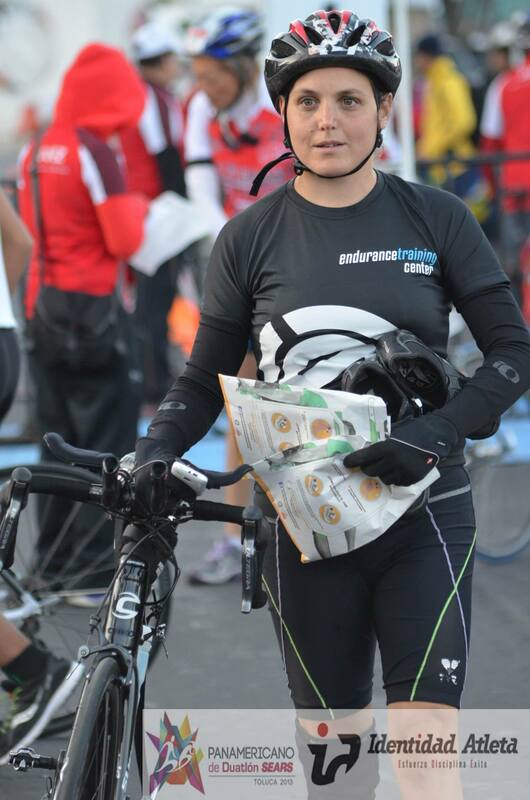 “I cry when buying bread,” a new friend who is also doing her first ironman, confessed. I’m not going! 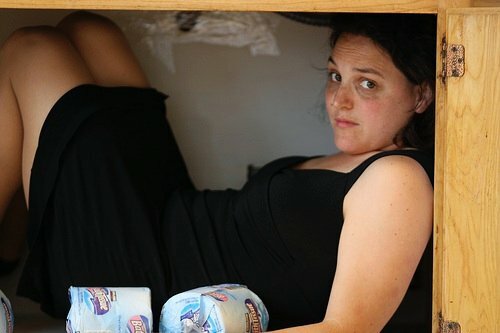 I’m too busy hiding in my kitchen cabinet! But there’s always been a level of stress in completing whatever goal I have at the time. Applying for a new job. Creating a piece for the stage (oh my gosh, a week before every performance I told my director, “I’m not doing it. And I mean it this time!!!) and she would nod her head and smile and say, “I’ll see you backstage!” And predictably I would show up and have the time of my life. I wrote the above at 7:30 this morning. It is now 3:40 in the afternoon and I’ve just returned from a bike race that swore I wouldn’t do (after I picked up my packet yesterday) and then a run with a friend. A teammate who I met yesterday and I’m sure gave her an ugly stare as I frustratedly rounded corner after corner at the concrete jungle of a 4km track, found me lost (shockingly) trying to find the team this morning, pointed me in the right direction. Before the race started, my coaches said to me, “Today, I don’t want to see you riding alone. As a triathlete, yes, you go alone. But today I want to see you as a cyclist, working in a team.” I nodded solemnly. “Smile!” my coach yelled at me. 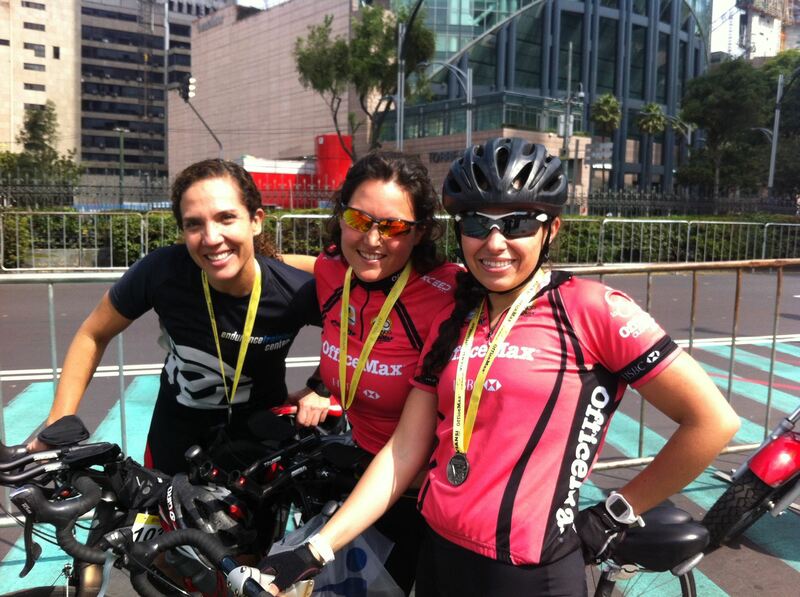 During the race, that same teammate found me.”Vamos juntos!” she shouted, almost out of breath. We rode together, in front of a pack, and as we rounded the curve on the third round she whooped and hollered and from the sidelines we heard a blur of cheers meant for us. And so it was that I cried for the thousandth time in the past two months. line. Me: faster than I had ever ridden, wanting to throw up… and smiling. Greeted by friends’ congratulations and by coaches’ hugs and approvals. So ironman, job, the stage…how about waking up each morning? The butterflies in the stomach, the excitement that today I’m going to make a difference!…and the fear…what if I don’t? This entry was posted in exercise, Mexico, Training, travel, triathlon and tagged adventure, cycling, exercise, journey, Mexico, stage, teaching, travel, triathlons, yoga. Bookmark the permalink. You are such a great writer! One of the things that make you great, is your honesty! So easy to relate too! You also have the gift of using humor well- creating a very poignant, memorable piece! Thank you! So incredibly proud and in awe of you! 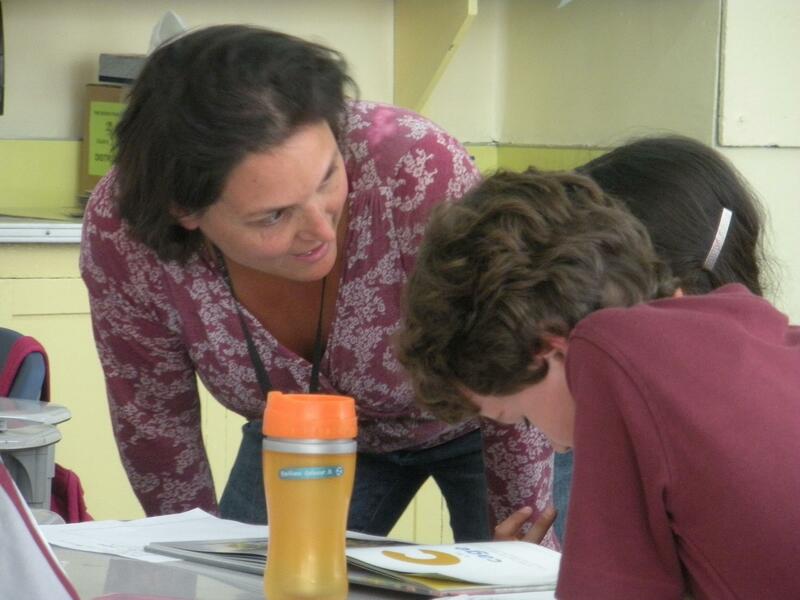 Sarah… terrific writing! I definitely got a glimse into that busy brain of yours…you’re right it’s more of a mental challenge than physical. I still can’t imagine how you could take smething like this on during the school year…you are amazing! Best of luck during the next 6 weeks and of course during the actual event!